Nice to meet you! I’m Jason from the Backend Engineering Team. Mercari has been hiring overseas for the past two years. Being a non-Japanese speaker who entered the company 10 months ago, it’s been an absolute privilege being able to take part in the global recruitment project for hiring new graduates. We’ve traveled to several countries since last September and met some highly skilled and talented graduates. Guess what? I just came back from Hong Kong, my hometown! I was asked to represent Mercari and speak with local new grads about my life at the company, and I couldn’t have been more excited. A month before the hiring event, the People Partners Graduate Recruitment Team held an information session to attract potential candidates, and they invited me to talk about how the company provides a challenging environment that allows engineers to experience growth and career development. I traveled to Hong Kong and had the honor of meeting the candidates in person for further discussions. 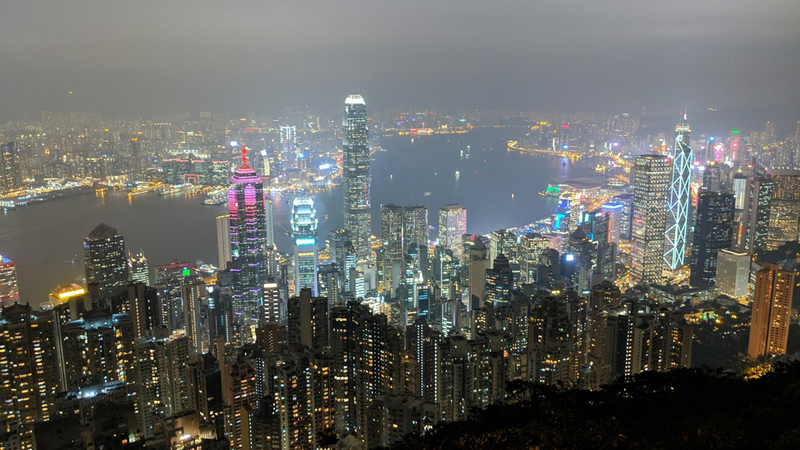 Being the interviewer for Backend Team positions, I had the chance to meet lots of talented candidates and discuss how technology can be used to empower local communities in Hong Kong. This was definitely the most interesting takeaway from the hiring event! Those who are considering working abroad may be wondering what concerns and challenges new grads have to think about before making their decisions. The most commonly asked questions are about company culture, as TV dramas have given Japanese workplaces a reputation for having long hours and high-stress environments. In response to that, we always emphasize how different Mercari is from traditional Japanese companies. Another commonly asked question is about whether or not non-Japanese speakers can blend in and work together with Japanese speakers, who make up the majority of the company members. In addition to facilitating an environment with mutual understanding and respect, Mercari also offers all kinds of activities and services to narrow the gap between both parties, including a pre-entry Japanese program (Yes, available to members before they join! ), live interpretation, and team building activities. Although Mercari is still on its way towards becoming a truly global tech company, I believe that joining this company would be a fantastic way to start an engineering career. 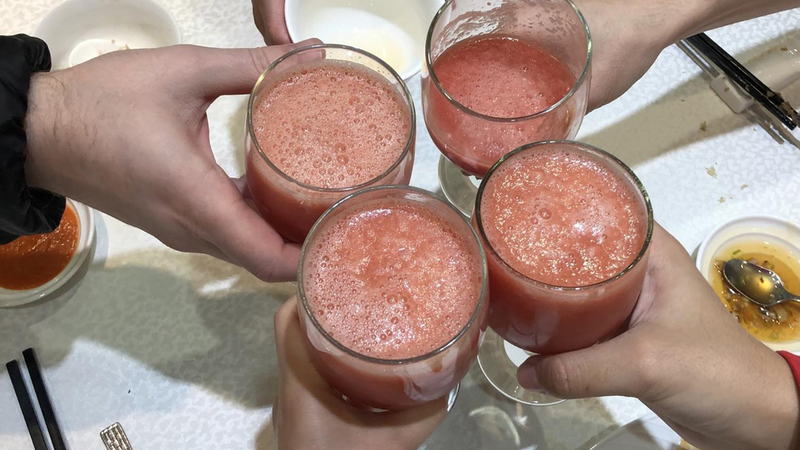 Enjoying some delicious watermelon juice with the candidates. Cheers! Business trips are not only about work, but also about connecting with other team members. They are valuable opportunities to speak with colleagues coming from different teams and backgrounds. During this trip I traveled with Liz, the leader of the Global Talent Acquisition Team and a fellow Hong Kong native. We brought our team members to the local restaurants and had them try out some authentic Hong Kong cuisine. I’m glad they loved it so much! This actually wasn’t the first hiring event I took part in. I went to China, Singapore, and India last year and I was impressed by the continuous improvements that People Partners added to the hiring process. I’m thankful that our ideas and opinions were accepted and reflected in the following hiring events. I’m also looking forward to being part of the next hiring event in Taiwan this April! I’d like to give my special thanks to the organizers, @Liz and @miho from People Partners, who have been making amazing contributions towards global hiring! If you’re interested in this field, please feel free to contact them directly for more details. See you again soon in #MercariDays (#メルカリな日々)!